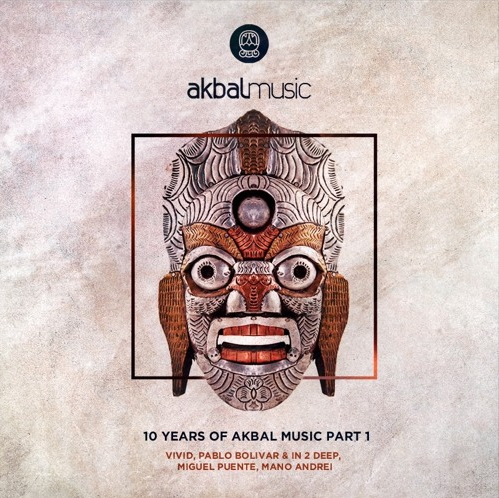 Akbal Music celebrates 10 years in the market with a big release divided in 3 parts. First part is here and includes tracks by Vivid, Pablo Bolivar & In 2 Deep, Miguel Puente, Mano Andrei. All tracks are unique and represent the sound of the label and the idea we want to transmit with organic , deep , emotional and groovie tunes that will take dancefloors into another level. The first track of the EP by Vivid is a slow ethnic shamanic introduction track to set the mood on the record, then we welcome Pablo Bolivar & In 2 Deep with their infectious melodies to create an emotional tune to build the momentum of the second track of the EP. The 3rd track is delivered by a regular of the label Miguel Puente from Mexico to create an hypnotic tune to increase the vibe of the record. Finally we have Mano Andrei from Romania to finish this EP with a stunning groove that djs wil definaltey use this as an important track of their sets. Hope you enjoy part 1 , please expect soon part 2 & 3 with more energy on the tracks ! !